Currently ranked 20th on Bicycling.com America’s Top Bike Friendly cities, Albuquerque, New Mexico has much to offer than it’s ranking may imply. With over 400 miles of on street bicycle lanes and trails, life on a bike seems certainly within reach in this town of just over 560,000 residents. The Rio Grande flows almost directly through the center of Albuquerque. This picturesque landmark hosts a 16 mile unbroken Class I bike trail and serves as a North-South bicycle corridor. The local commuter train, the Rio Metro Rail Runner, also follows a North-South route, not too far from the Rio Grande. The Rail Runner stretches from Santa Fe south to Belen, nearly 100 miles. Going East and West out of the central corridor are bikes lanes and bike boulevards. 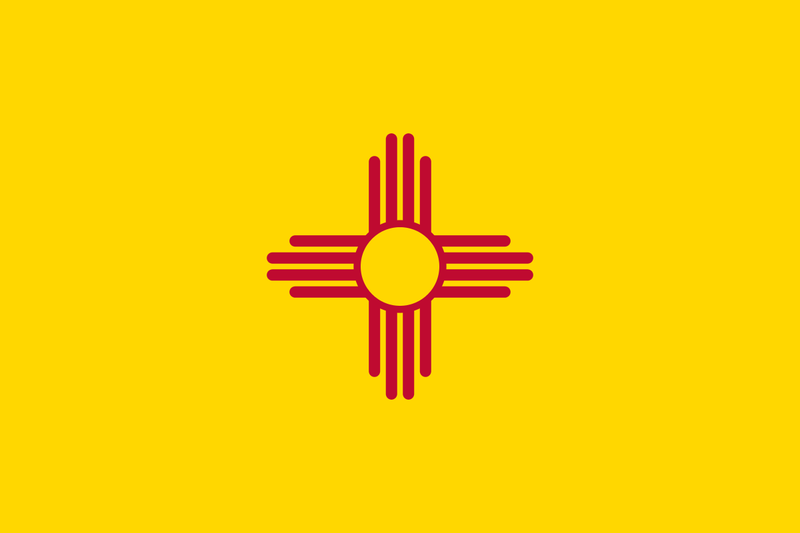 Preparing for my stay, it quickly became apparent that there is an active bicycle community in and around the City of Albuquerque, however I was not prepared for the pervasive bicycle network this desert town had to offer. The East and West ends of Albuquerque gently slope towards the center of town, with the occasional hill. The trip from the Amtrak station to my hotel in Nob Hill was at a slight grade, making the ride a bit of a challenge for my out of shape physique. A quick 5 minute stop and I was ready to resume, adding only 10 minutes extra to the projected traveling time provided by Google Maps. Just about every street had a bicycle facility on it, mostly on street striping, complemented with a generous amount of well demarcated bicycle boulevards. Near my accommodations in Nob Hill was The Bicycle Coop and Fixed and Free bicycle shops, no more than a few miles apart. The Bicycle Coop was originally a traditionally co-op, but went full retail about 10 years ago. The Bicycle Coop sold a range of high end new road and mountain bikes, in addition to vintage rides and cruisers. The friendly mechanic referred me to the City Bicycle Resource Map, incredibly well made document full of all the ABQ has to offer when it comes to bikes. The clear stand out on this map is the Esperanza Community Bike Shop. The Esperanza Community Bike Shop is a City run, non-retail community center dedicated to supporting bicyclists and improving bicycle safety. Esperanza Community Bike Shop has two rules, no one under 18 can receive services without a helmet with them. If you don’t have a helmet, one is provided at no charge. Also, no bike leaves the shop without at least one functioning brake. The shop is run by two mechanics, Ryan and Hugh, contracted by the City and is open after school hours and on Sundays, in addition to a group of very dedicated volunteers. The City of Albuquerque has set goals in it’s annual budget to expand programming at this space. Current programs include a Build-A-Bike ( ages 10 – 17, free ), Earn-A-Bike ( 18+, $10 ) and a work study program with local high schools. All programs have a strong emphasis on safety and help the center stay funded by grants, partially Safe Routes to School grants. Esperanza makes it’s home in an unused city library facility that closed about 10 years ago. The City covers utilities and maintenance expenses, salaries, tools and parts are paid by grants in addition to the donations made by local residents. Tools, bikes and bike parts are also regularly donated to the center by the public. Located in a low-income part of the City, just off the busy Central Ave, Esperanza is a welcome addition to the community. Local riders of all ages were present during my visit and seemed to regularly frequent the shop. Eager to show off what they learned, two young riders completed a chain repair and were ready to head out for a ride. I cannot wait to return to Esperanza to spend more time getting to know more about this wonderful community and City supported resource! In 2007 the City launched the “Slow Down Albuquerque” campaign. Museum exhibits, free yard signs, and outreach efforts have been helped slow down speeds throughout the City. Riding through town felt safe, not once was I buzzed or honked at for taking the lane. Drivers were patient and seemingly observant as I negotiated the changing of lanes and for left turns. The City government and residents seem committed to making the roads a safe place for cyclists. Many of the streets had at least an striped bicycle lane if not a bicycle boulevard. In addition to these facilities, well placed bicycle parking was prevalent in front of many stores, restaurants and other destinations. The University of New Mexico placed their impressive bank of bike racks front and center at the main entrance. This may have been done for practical reasons, but it certainly makes a clear statement, that bikes are a valued mode of transportation. Immediately surrounding the school are various bike shops for all types of riders. The previously mentioned Bicycle Coop and Fixed and Free are just a block away, at either end of the campus. Also, well within casual riding distance is Bikeworks Albuquerque, the Trek Bicycle Superstore and the Cycle Cave. The “ABQ” is a clear leader in it’s commitment to be a bicycle friendly city. The local City government and residents have quietly and methodically made improvements reaching a 25% increase in bicycle commuters from 1999 – 2009. Local bicycle tourism “Meet Up” groups, advocates such as the Bicycle Coalition of New Mexico and UrbanABQ are key players pushing for further improvements and growth. Special thanks to Ryan at Esperanza for taking the time to chat with me and for the free t-shirt, look forward to many more future conversations… Keep up the great work, you have inspired us in Santa Ana! © 2016 el fenix, all rights reserved.